Does anyone know how the progress is coming on the Salinas Airport and when it might be ready to start accepting flights? Also, has there been talk of destinations? I have returned from Salinas and here is what we have learned about taking the bus. Take a taxi from GYE to Terminal Terestre. The cost is $2.50. Terminal Terestre is basically a shopping mall with a bus station attached. When you walk into the building you come to the stores running to the left and right along the main shopping floor. If you continue forward you come to a second area where the windows for the buses are located. You buy tickets for Salinas under a blue sign at windows 82 through 86. The bus companies are Libertad Peninsular CLP, Costa Azul CICA, and Liberpesa. Go to one of the windows and ask for a bus which is Directo. 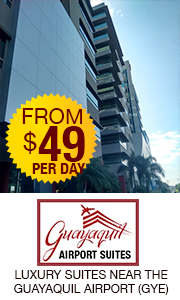 All 3 companies have them and the Directo buses will make fewer stops between Guayaquil and Salinas. This is what we used and it made 2 stops in Guayaquil, 1 in Santa Elena, and 1 in La Libertad before arriving in Salinas. We also made one random stop along the way for a guy to buy his kids a drink and a bag of chips from a roadside stand. I don’t think the companies advertise these stops! The trip took 2.5 hours and cost $3.30 each for assigned seating on an air-conditioned bus which showed a movie in Spanish and had seats that reclined. One helpful bit of advice – Do your shopping and grab lunch in the Food Court BEFORE you purchase your tickets for the bus. Once you purchase your tickets, you will need to go directly to the departure area (3rd floor, spaces 95 – 98) to get on the bus. The bus will depart in about 15 minutes. The return trip took 2 hours and 40 minutes but the pricing was different. The first ticket was $3.30 but the second was $1.65. I am not sure why the second ticket was half price. We departed Salinas on a Tuesday morning around 11am. 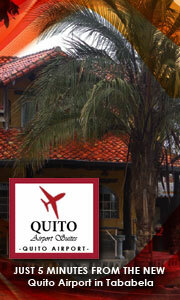 Once we arrived back in Guayaquil we went directly to the airport. This trip cost us $3.00, as we had to do quite a bit more driving on divided roads to get to the entrance to the airport. We have found Corvina (Sea Bass) in most places.